The traditional leader of the Topnaar People and Chairperson of the Nama Traditional Authorities Association, Kaptein Seth Kooitjie, who died at his home in Narraville a little more than a week ago, will be laid to rest at Soutrivier. 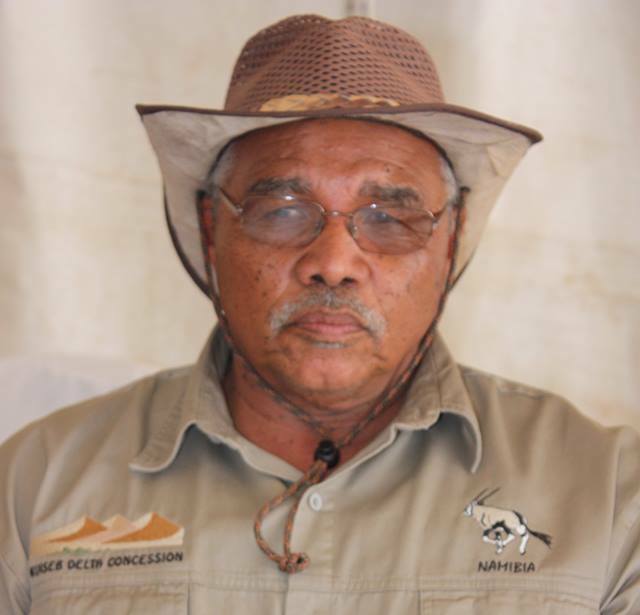 The funeral for the late Topnaar Chief Kooitjie is scheduled to take place on Saturday 16 February 2019. The family of the late chief said that before the funeral several memorial services will be held. The first or opening memorial service will take place at the late chief’s house in Aalwyn Street in Narraville at 18:00 on the 10th of February. The first memorial service will be followed by a second service that will be held on the 14th of February at the Narraville Rugby Stadium. The service will start at 19:00. A third service that will start at 19:00 and is set to last through the night will be held at Homeb, the late Chief Kooitjie’s homestead, on the evening of the 15th of February. Homeb is situated about 125 kilometres from Walvis Bay on the D1983 road. The funeral service will also be held in the church at Homeb but the late Chief Kooitjie will be laid to rest on the 16th of February at Soutrivier where his parents and other family members are also buried. Soutrivier is situated about 95 kilometres from Walvis Bay on the D1983 road. The late Topnaar Kaptein is survived by his wife, his four children and four grandchildren.